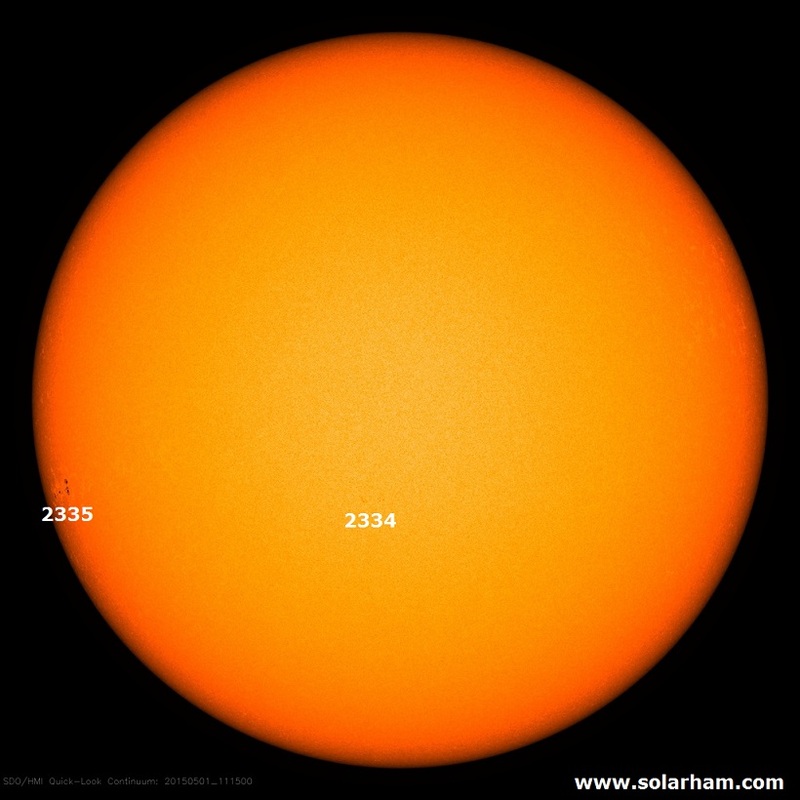 There are only two active regions (AR) on the solar disk. NOAA AR 2335, located at the East limb, produced some flaring activity at the C-level before and after the UT midnight. No Earth-bound CMEs were observed. Further flaring activity at the C-level is expected, mainly from NOAA 2335. Solar wind speed was around 350 km/s till 7 UT, when it increased to a current value around 440 km/s. The magnitude of the Interplanetary Magnetic Field (IMF) remains near 10 nT, with a fluctuating Bz component. The quiet to unsettled (K=0 to 3) geomagnetic conditions are expected to continue, with some chance for a few time slots of active (K=4) conditions.